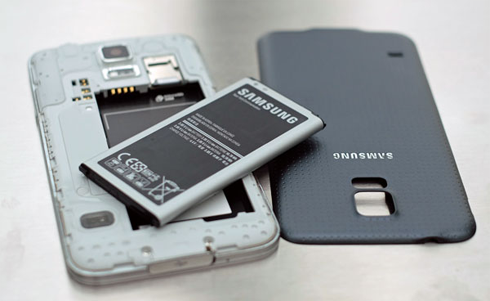 Today, my friends, I will tackle the 'not charging problem' with the Samsung Galaxy S5. I received a few emails that spoke of this specific issue. I did my part; I scoured the web for possible information of a bug that may be causing this problem and I didn't find one; I rang a couple of friends who develop and modify firmware and they said no to the idea that the 'not charging problem' is brought by a bug. Needless to say, the Galaxy S5 not charging problem is either a glitch or a hardware issue. If it were the former, then it can be fixed without visiting a technician. The latter, however, may be more complicated. I cited three problems in this post so feel free to browse to see if one of them is the same as the one you have now. I received a couple of emails that speak of this problem. According to them, the phone just shut itself down without apparent reason. Both users said they were sure there was enough battery to power the device but the phone refused to turn back on. Email 2: Hi Harold, I'm Vikram from India. I have a new Samsung Galaxy S5 and yesterday it just shut down automatically without me doing it. I tried to start it back up but it won't respond. My phone is still dead today so I need your help badly. By the way, I tried to recharge it and it will not charge. What is the problem with my phone? It's a hardware glitch and nothing serious. Just open the back cover of the phone, remove the battery and then press and hold the power key for a minute. That should be enough the drain stored electricity off the capacitors. Place everything back in and attempt to turn the phone on. If that doesn't work, then boot the phone in recovery mode and wipe cache partition. I'm sure the phone can go to recovery mode as long as there is enough battery. If you don't know how to boot Galaxy S5 in recovery mode, follow this link: Samsung Galaxy S5: Safe Mode, Wipe Cache Partition, Factory Reset [Complete Guide]. This problem is common not only to Galaxy phones but to any Android device. It often results from "overcharging" your phone, although there's no such thing as overcharging nowadays because smartphones will stop the charging process once the battery is full. What I meant is that if you often left your phone plugged in even if it's already full, this problem may show. Email: Hello Harold. Thanks for offering this free service. I have a problem with my Samsung Galaxy S5. It's about a couple of months old and it works fine. Last week, there was a time when the phone wouldn't charge. When I plugged it in it showed the charging icon first then it showed the battery was full seconds after. I encountered this problem personally so I know from experience this is just another minor hardware glitch. By the way, I communicated with Melrose (the email sender) and asked her about her charging habit. She confirmed to me that she often left the phone plugged in at night so that in the morning she gets 100% battery for the entire day. She added that she can barely use up 25% of the battery so the phone will be fully-charged in minutes to an hour after she plugged it in. To fix this problem, you just have to follow the very simple procedure I cited in the first problem: remove the battery, press and hold the power key for a minute while the battery is out, place the battery back in and turn the phone on. This method alone should fix this problem but if not, then booting to Safe Mode and rebooting back to normal mode would. Now, this is a strange and uncommon issue. One of my readers emailed me saying that her phone charges fine when turned off but refuses to charge when it's on. Email: Hello Harold. My name is Myra and I had a rather strange problem with my 1 week old Galaxy S5. I got the phone brand new from a wireless provider here in the U.S. and it was in perfect condition until the 5th day. On that day, the phone refused to charge. I though the problem was with the charger so I tried my charger with my husband's phone, which is also an S5, and it worked just fine. Upon learning it wasn't the charger that has a problem, I tried his battery on my phone and attempted to charge. The same thing happened; no charge when on, but charges when off. The day after, I brought it to my provider. I let the tech run tests on it and he said the phone needs replacement. So I got a new unit, which works perfect now. According to the tech, the problem was with the charge port; it may need replacement. I just want to share this with you since you're helping a lot of people with what you're doing. I thought if there's someone whom I want to share this experience with, it would be you. I've also been following your blogs on The Droid Guy. Keep it up! Thanks for reading! For those users who exactly have the same problems as Myra, you now know that the problem is with the USB charging port. That's the component that's responsible in receiving a charge from the power adapter and pushing it into the battery. It is also responsible in monitoring the temperature of the battery, so if you're getting the error message that says "Unable to charge. Battery temperature is too hot/cold" that's the component you want replaced. Don't hesitate to contact me via email and I will spend time reading and researching on your problem. I am open to any sort of questions or problems as long as it is related to Android. Don't worry, everything is free but all I ask of you is details of your problems. If you have screenshots, attach them to your email. Thanks for reading.